Golf is considered as one of the highest paying sport. It is a typical myth that golf is a game for the rich. Taken the last decade into consideration, golf has attracted participation irrespective of the economic classes. It still maintains its position as the highest earning sports of the modern days. 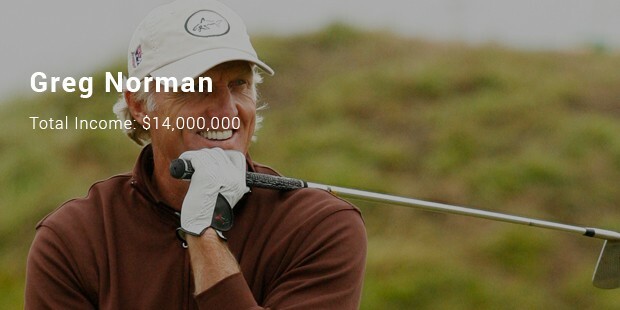 Let’s move on to take a look at the richest golfers. 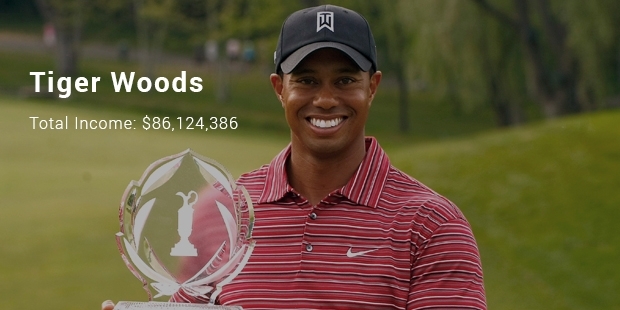 Tiger Woods is an American professional golfer. He participates in the PGA Tours and European Tours. He earned a total $71,000,000 from his endorsements. 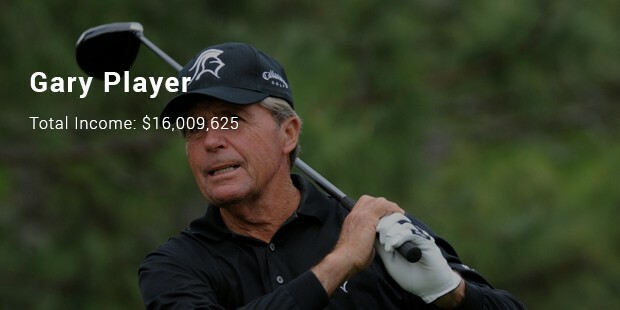 In the 2012-13 season he earned a total of $86,124,386 with $9,124,386 on-course income and $77,000,000 off-course income. 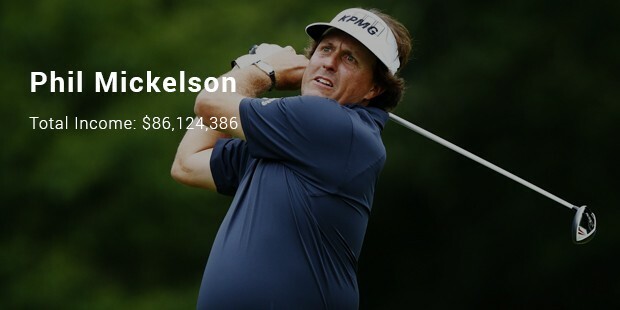 Phil Mickelson is an American professional golfer. He participates in the PGA Tours and European Tours. He earned a total $45,000,000 from his endorsements. 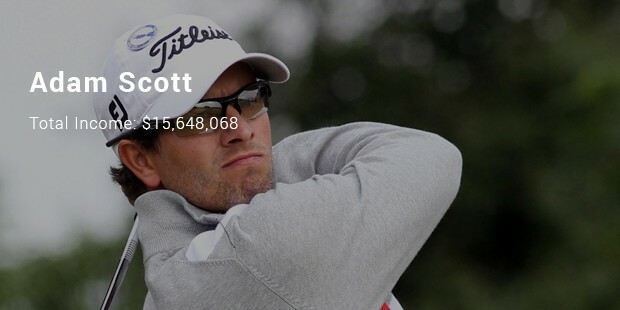 In the 2012-13 season he earned a total of $86,124,386 with $5,335,267 on-course income and $77,000,000off-course income. 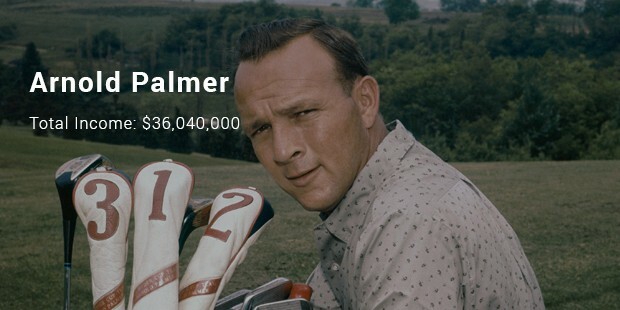 Arnold Palmer is an American professional golfer. He participates in the PGA Tours and European Tours. He earned a total $40,000,000 from his endorsements. 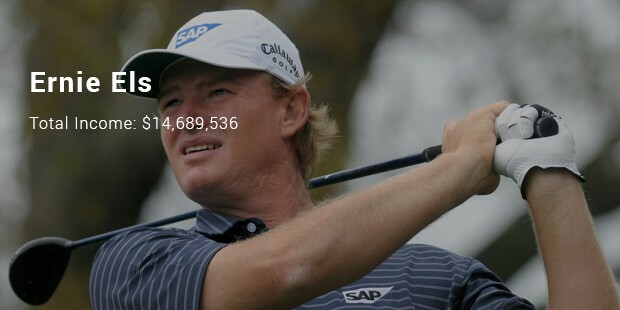 In the 2012-13 season he earned a total of $36,040,000 with $40,000 on-course income and $36,000,000off-course income. 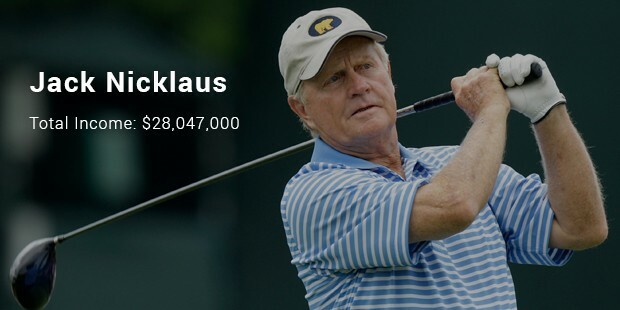 Jack Nicklaus is an American professional golfer. He participates in the PGA Tours and European Tours. He earned a total $26,000,000 from his endorsements. In the 2012-13 season he earned a total of $28,047,000 with $47,000 on-course income and $28,000,000 off-course income. 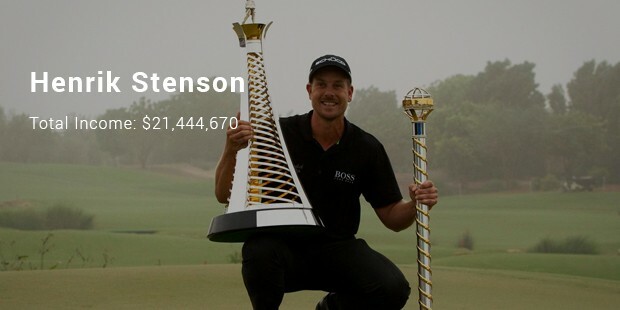 Henrik Stenson is a Swedis professional golfer. He participates in the PGA Tours and European Tours. He attained the 5th place money list of golfers. 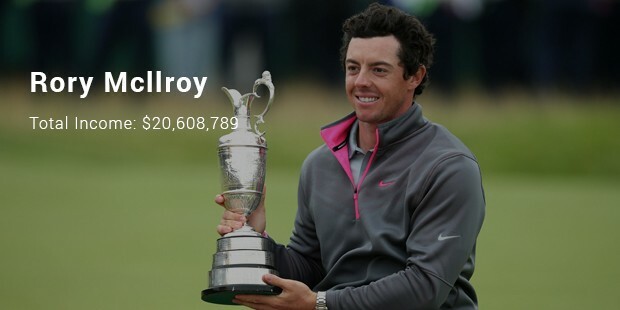 In the last season he earned a total of $21,444,670 with $18,594,670 on-course income and $2,850,00off-course income.